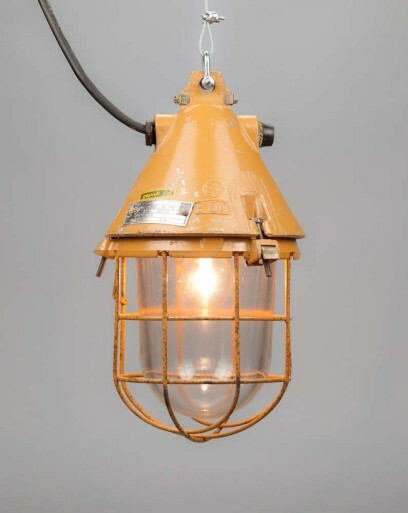 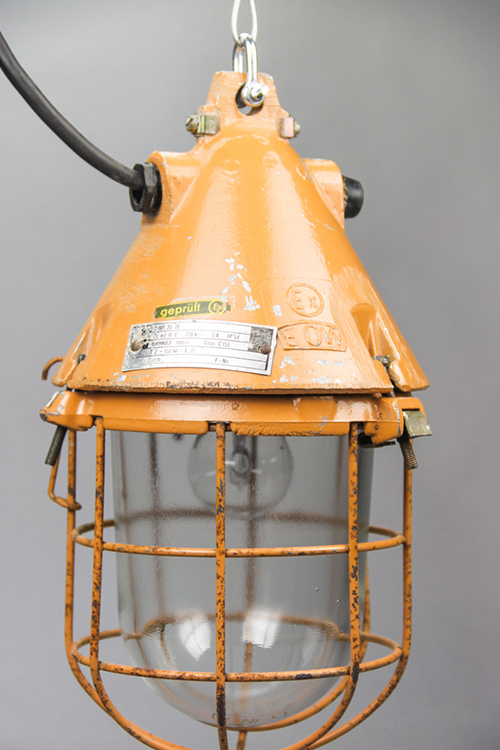 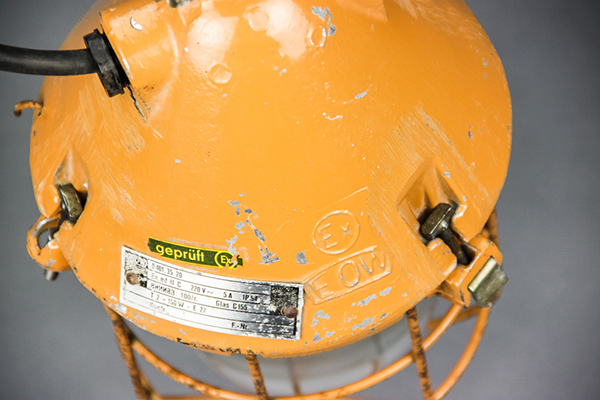 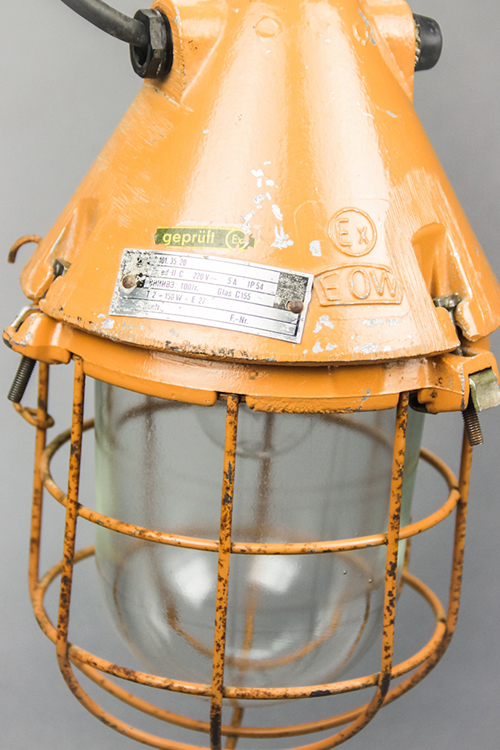 This orange-colored splash-proof light consists of a die-cast aluminium casing fitted with a heat-resistant safety glass. 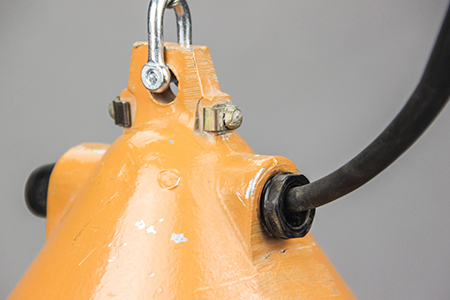 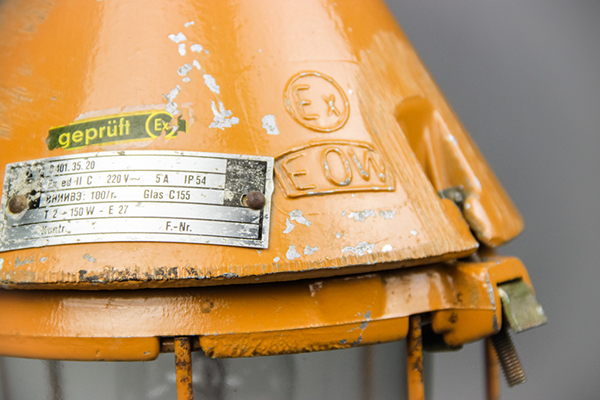 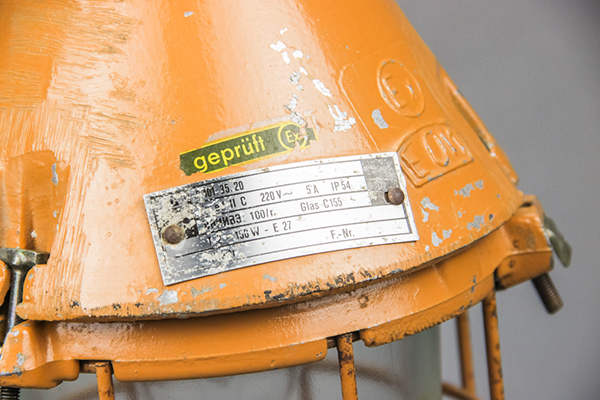 This lamp is a later version of the ‘Dragon’ manufactured by the East German company Elektroinstallation Oberweimar (EOW). 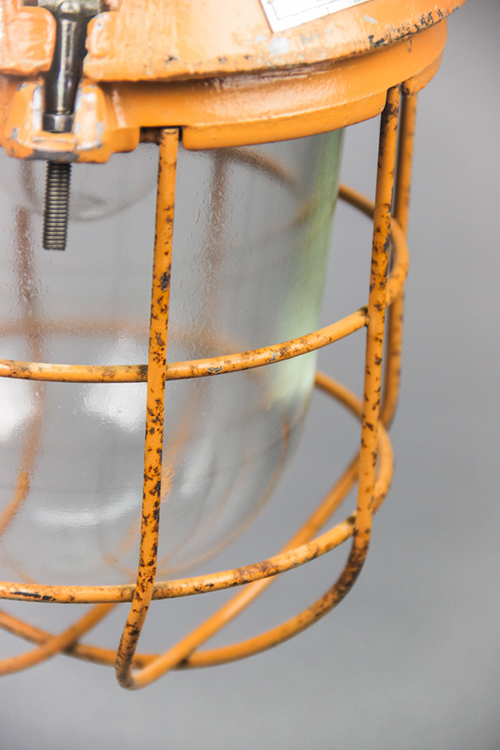 Compared to its ancestor it weighs less and the protective cage is removable. 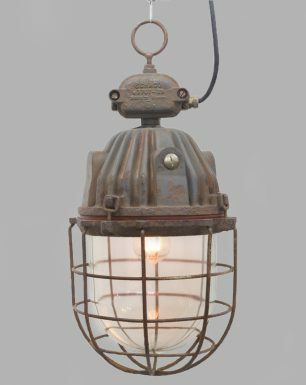 These lights were designed to be used in buildings processing hazardous materials, such as chemical plants, power stations, military bunkers or ammunition storages. 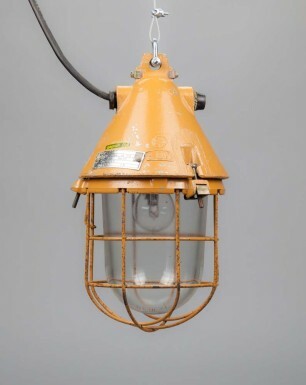 These fixtures originate from the abandoned buildings of an East German ‘Kabelwerk’, a manufacturer of high-and low-voltage cables. 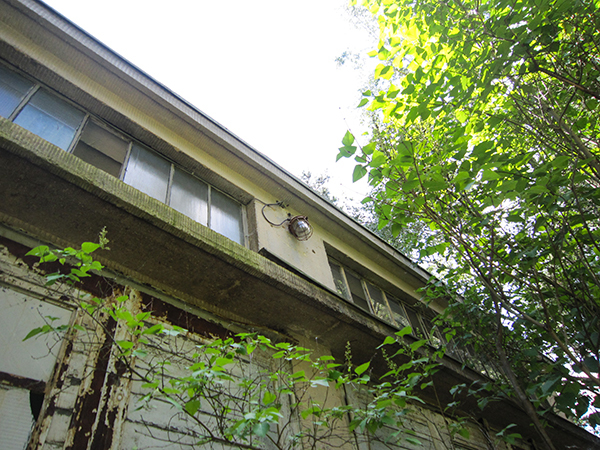 The were found partly disassembled in a storage at one of the basements of the warehouses.